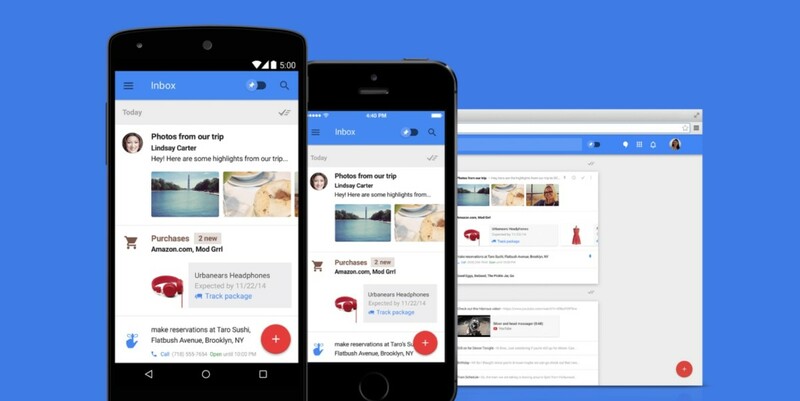 TNW's Apps of the Year: Inbox by Gmail, the future of email? In our Apps of the Year series, The Next Web team shares personal recommendations for our favorite apps of 2015. Google’s Inbox by Gmail actually launched late last year, but it was in 2015 when it really blossomed into the truly excellent email app it is today. Responding to trends in email app development over the past couple of years, Inbox focuses on helping you clear your incoming email as quickly as possible. There’s no doubt the Gmail team was inspired by the likes of Dropbox’s lightweight Mailbox, but what we have here is more well-rounded, polished and easy to use. You can swipe emails to quickly archive them or schedule them to come back to your inbox at a better time, and it collects things like marketing newsletters into a bundle that you can quickly get rid of with a single swipe. It even notices e-commerce receipts and highlights the package tracking link – it’s full of smart little ideas that make your life easier. One of my favorite features is that it collects emails related to upcoming travel together and presents them in a smart way. In the example below, Inbox scanned my flight booking email and gives me an itinerary all in one place. Tap a flight, and it brings up takeoff and landing times, and terminal numbers – very handy indeed. It can pick out the hotel you’re staying in too, and give you easy access to its address and your check-in time. In the future, artificial intelligence may well write your emails for you. Inbox by Gmail gives us a glimpse of that with the recently introduced ‘Smart Reply‘ feature. It scans your (English language) emails and works out three possible replies for you. Right now, they’re only a few words long each, but they’re relevant to the email and all being well should be in the right tone, too. So, if you receive an email about planning a party, it may suggest “Sounds like fun,” “That’s a great idea!” and “Cool!” whereas suggested replies to the details of a funeral would be far more somber. You can edit and expand on these Smart Replies before you send them, or just not use them at all, but it’s great to know they’re there. It’s easy to imagine them being improved based on extra data like your Google Calendar schedule in the future. The only problem I have with Inbox is that it makes deleting emails that little bit more inconvenient. Unlike with Mailbox, there’s no ‘swipe to delete’ option. Instead, deleting messages takes two taps. Not the end of the world, but it does mean I have loads of junk mailing lists clogging up my email storage because it was easier to archive them than delete them. (Update: As some readers have pointed out, you can actually change the settings to offer ‘Swipe to delete’ but it then makes archiving two taps away – having both equally available would be a small but welcome change). While some prefer Microsoft’s comprehensive Outlook email app, Inbox by Gmail does everything I need in a package that emphasizes speed and productivity, and I love it even if our own Ben Woods found it hard going. Inbox by Gmail is available as an Android and iOS app, and as a Web app for desktop use.